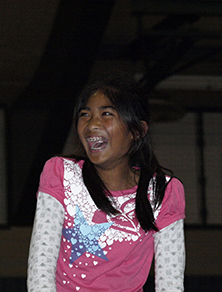 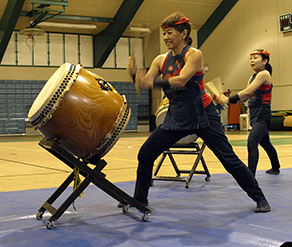 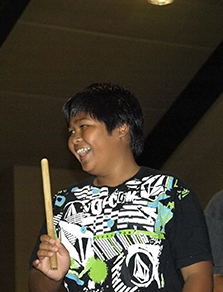 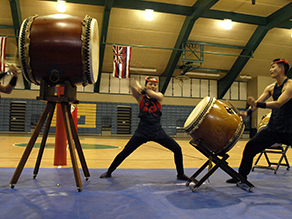 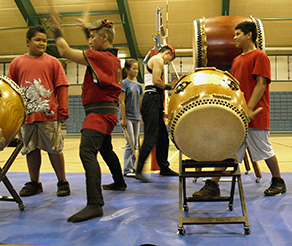 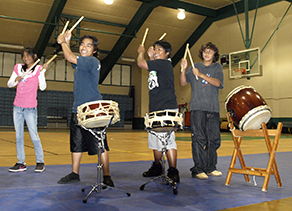 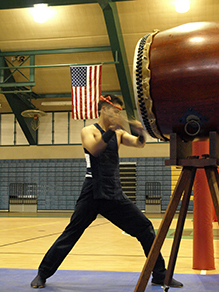 Four members of the Kenny Endo troupe presented a 90-minute educational program for 120 middle schoolers at Lanai High and Elementary school in the school gymnasium. 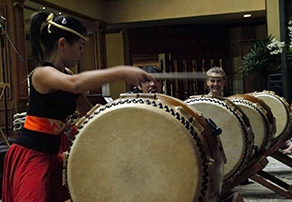 They invited all the school band’s percussion students up and allowed them to play the Taiko drums with tips and instructions, and then conducted an open-ended Q&A session. 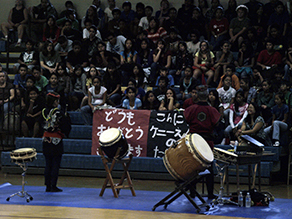 This was a very successful event with rapt attention from all the attending students and visible excitement, pleasure and inspiration among the band students. 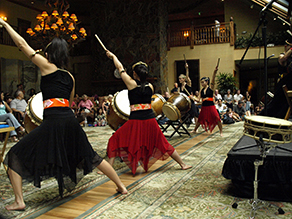 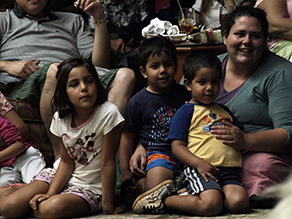 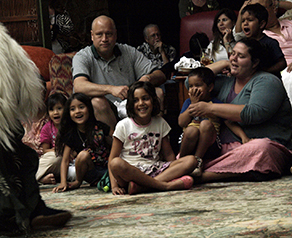 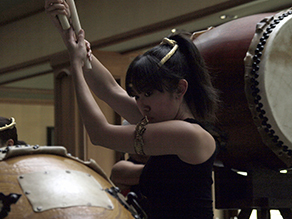 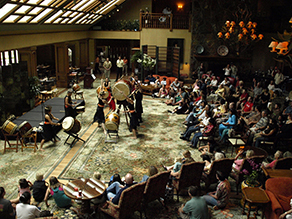 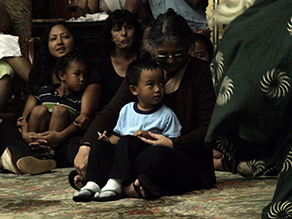 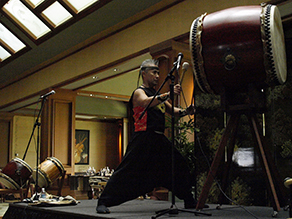 The next evening, the troupe performed a 90-minute program for a capacity standing-room only crowd of 220 people in the Great Hall at the Four Seasons Lodge at Koele. 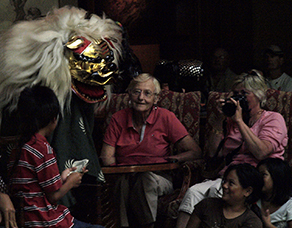 The program opened with the traditional Lion Dance, which instantly won over all the children as well as the crowd. 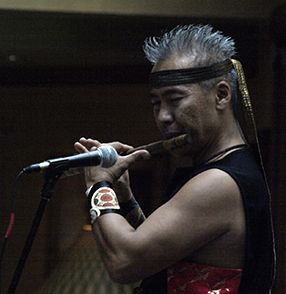 The troupe’s performance included 10 separate pieces that ranged from bone-vibrating and exciting with amazing choreography to soft, contemplative and gentle, featuring Kenny Endo’s sensitive flute playing. 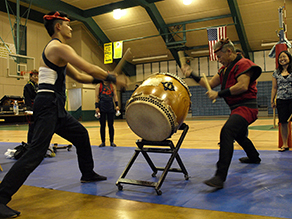 The audience gave them a rousing standing ovation after the show. 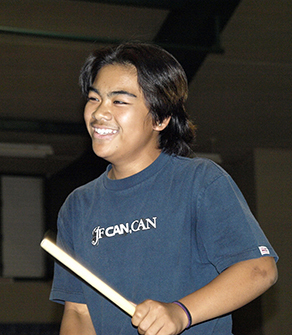 Click here to visit the Kenny Endo web site for CD's, DVD's, touring schedule and more!